Thankfully, the next super-hip food trend isn’t more rainbow colored dishes. Well, technically it isn’t food either: it’s coffee lemonade. 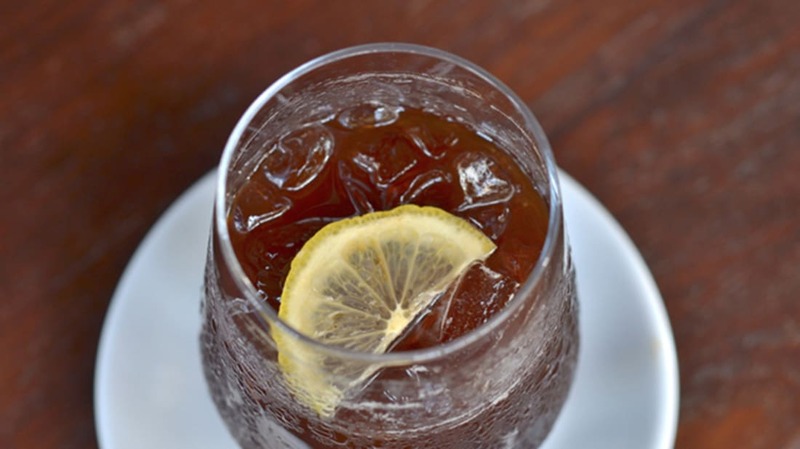 Cafes are spiking their brews with lemon, Eater reports, and you should definitely get on board. At the Stand, a pop-up cafe based in New York City, it’s called the Almond Palmer. At Supercrown Coffee Roasters in Brooklyn, it’s the Laura Palmer, while another Brooklyn coffee shop calls it the Thunderbolt. At a chain of Swedish cafes, it’s simply kaffelemonad. Coffee is already naturally acidic, so adding a dash of strong lemon syrup or pouring lemonade over your iced brew just adds to the effect. The acidic lemon juice can support the fruity flavors of a brew while balancing out its nutty notes, as one barista tells Eater. If you don’t live near a lemon-loving coffee bar, you can make it yourself. The Stand’s Almond Palmer is just 8 ounces of cold brew with a tablespoon of lemon syrup and a shot of almond milk.